FAIREST OF THEM ALL by Magical Scraps Galore is a magical collection inspired by one of the all-time favorite Princesses, Snow White. In beautiful rich colors, this gorgeous kit is filled with wonderful patterns and elements such as the fairest Princess and her woodland friends, a magic mirror and poisoned apple, gorgeous flowers and a wishing well, among many other fabulous goodies. This is the perfect collection for scrapping your magical meet and greets, your princess meals, a Bibbidi Bobbidi appointment, a princess birthday party, and so much more! I made two layouts with this gorgeous collection. Both layouts relate to Halloween 2015 when my wonderful mother-in-law made Jessica a Snow White costume. The costume is amazing and Jessica still loves to dress up in it. 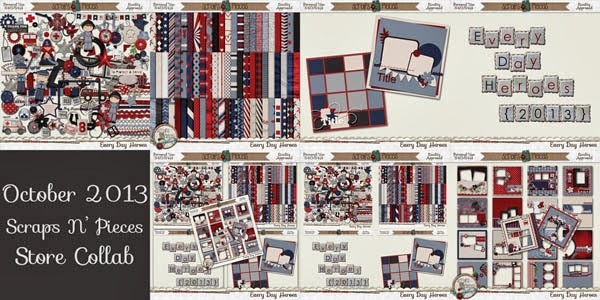 For international Digital Scrapbooking Day (first Saturday in November), Connie Prince had two grab bags available. Unfortunately, my computer turned off by itself and wouldn’t turn back on right before iDSD, so I wasn’t able to share the layouts I created while the grab bags were available. 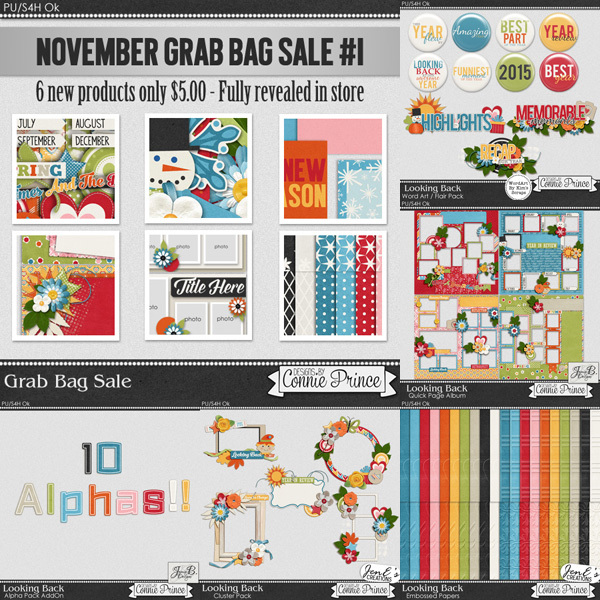 You can still pick up the kits and coordinating pieces and they’re even on sale currently, but you can’t purchase the steal of a deal grab bag anymore. The first grab bag I worked with is called Happy Holiday. I really love the blue with the traditional red, white and green Christmas colors. I made two layouts with this one, both are from our 2013 visit with Santa. Journaling reads: Initially, Janette didn’t want anything to do with Santa Claus. After the hay ride to look at Christmas lights, we went back inside the community center to try one more time to talk to Santa. This time, a conversation about the jingle bells allowed her to get comfortable next to Santa. Janette still didn’t want to sit on his lap, but she at least smiled for a picture. Journaling reads: It is always fun going to our neighborhood’s Christmas party. Santa and Mrs. Claus pay a visit and unlike the mall, there are very little lines to chat with Santa. After showing Santa Claus how her shoes lit up, Jessica was ready to sit on his lap and tell him what she wanted: an alarm clock and furniture for her “little critters,” aka her Calico Critters. I also worked with the other grab bag, Looking Back. I really loved the scarecrow and fall elements and decided to scrap this year’s trip to the pumpkin patch. Journaling reads: After picking Jessica up from kindergarten, we headed to Manchaca Methodist Church to visit their pumpkin patch. With it so close to Halloween, the selection wasn’t the greatest, but Jessica and Janette both found pumpkins they liked. We even saw a ladybug while we searched for the best pumpkin. After paying for the two pumpkins, we took them over to their photo spot and the girls humored me by smiling. Did I scare you! Well the leaves are starting to change in different parts of North America, and the air is getting cooler. It’s October and Fall is definitely here! In Canada, we will be gathering with family and friends to give our thanks on October 14th Thanksgiving day and before you know it Halloween will be here! 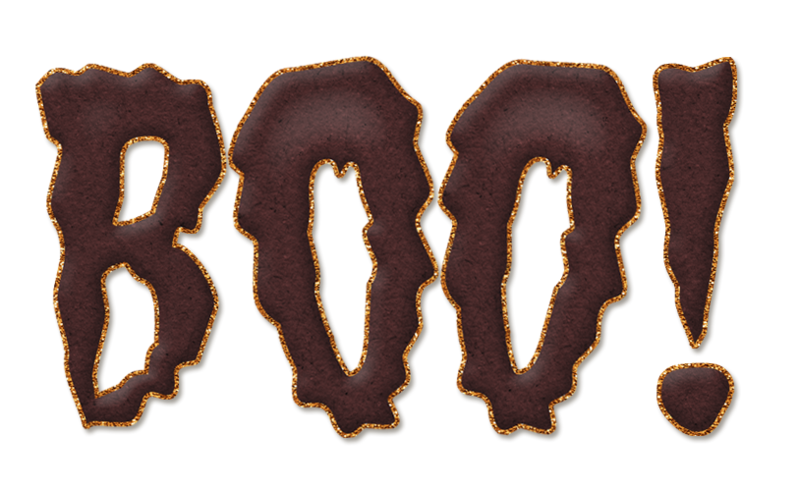 True North Scraps has come up with a spooky mega kit to help you get prepared for this fun time called Boo’s Crews! These guys are too cute to scare anybody! Little Boo and his parents are Trick or Treating with an adorable crew of friends. This kit is jammed full of elements and papers, in fact this may be the largest kit yet. You’ll find 80 elements including some humorously haunted flowers and tombstones. On top of that, there is a full spooky alpha and 48, yes, 48 papers, including glitters and solid cardstocks! This mega kit is a huge value at $7 but right now you can get this Mega kit for 30% off until Oct 12. Making it a fantastic treat at $4.90. Take a look at everything you get with this spooktacular kit. Plus it comes with 3 frightfully fun Word Arts. Here is the two-page layout I made using this fun kit. Check out what the rest of the North Stars created with this kit. Firefighters. Police Officers. Emergency Responders. Every day, heroes are busy protecting our homes, streets, and lives. We honor them this month with this bright and wonderful kit. 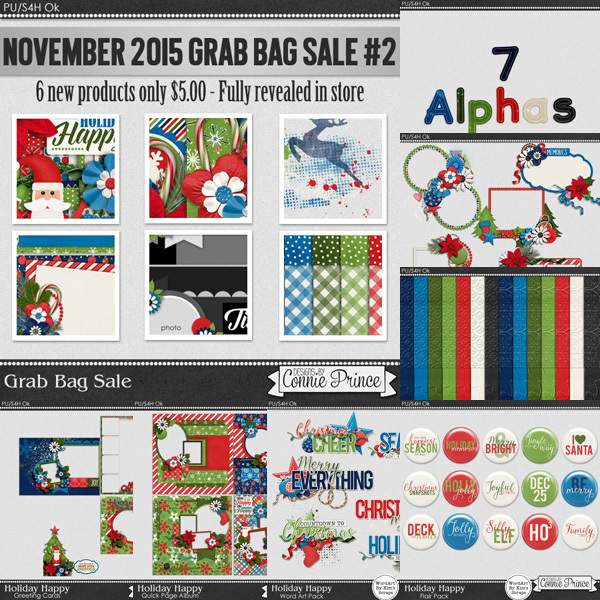 Grab the kit for just $7.99, the quick pages for $5.99, or go big with the bundle for $10.99. 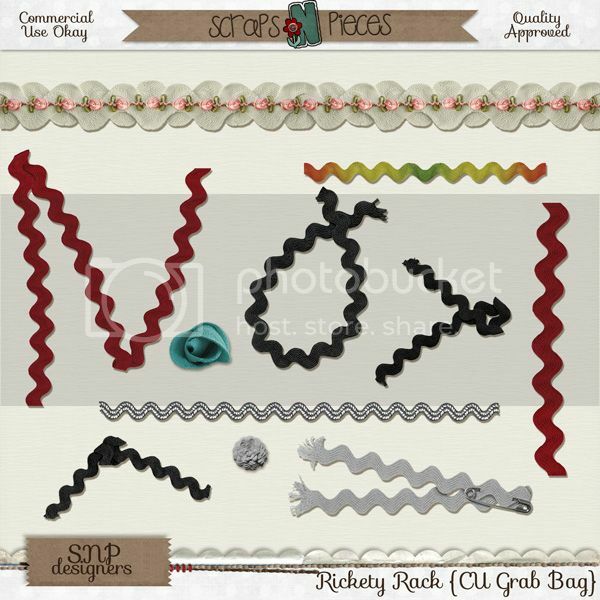 For those designers that want something unique to add to their stash,, this is a fun pack of ric rac that is a little different from your everyday pieces of straight ric rac. Grab it the first week while it is 35% off. This month’s Bits N Pieces theme is all about photography, scrapbooking, and capturing those precious memories! The warm browns, blacks, and soft light blue is perfect for ANY layout. Check out these amazing pieces the designers have for you. Remember all pieces are just $1 the first week of the month! After the first week, the designers may combine their products into a full-size kit and all will be at regular price, so don’t wait. Also, the first weekly challenge each month is dedicated to the month’s Bits N’ Pieces products. Use them in a layout, post it and link to gallery, and earn some points. It’s a win win!! 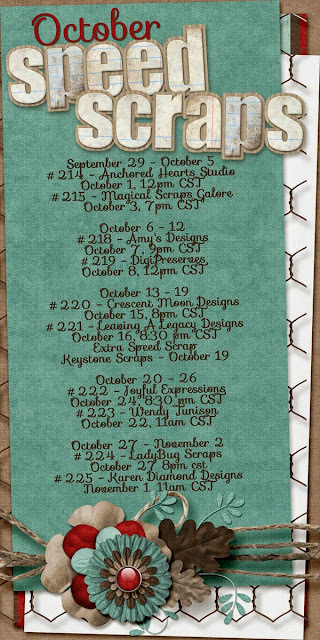 Be sure to add the following speed scraps to your calendar, and join us in the forum and chat for a lot of fun. Still looking for a few more talented people to join the North Stars team. Now I have a few treats to give you. First the North Stars have put together this amazing collection of journals cards for you. You can download them from my blog site, but hurry because they will only be available for a limited period before you see them at Scraps N Pieces store. Click on the preview for direct download or here. Next here’s the goodie on True North Scraps facebook page. Here’s what the newsletter subscribers gets for a treat! If you haven’t already signed up for TNS Newsletter, ‘What are you waiting for?’ There are some pretty great freebies, exclusive coupons and you never know if you might be a newsletter RAK winner. At the same time, you will keep up with current True North Scraps news. In the newsletter that is coming out tonight there are additional newsletter coupons but the trick is you have to look for this treat. So hurry, sign up and save more!